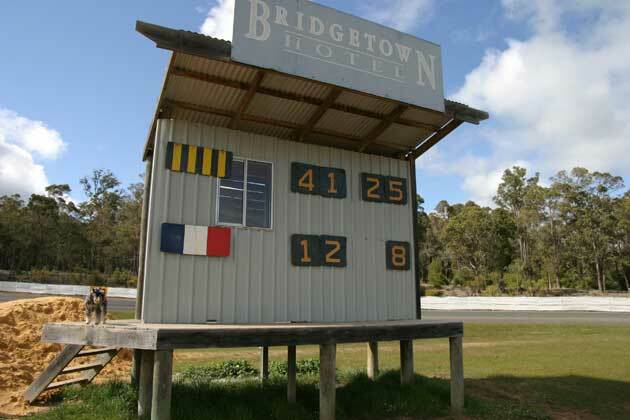 Frankie and I dropped in for a look at the scoreboard at Bridgetown on a non-game day when we were on our way somewhere else. 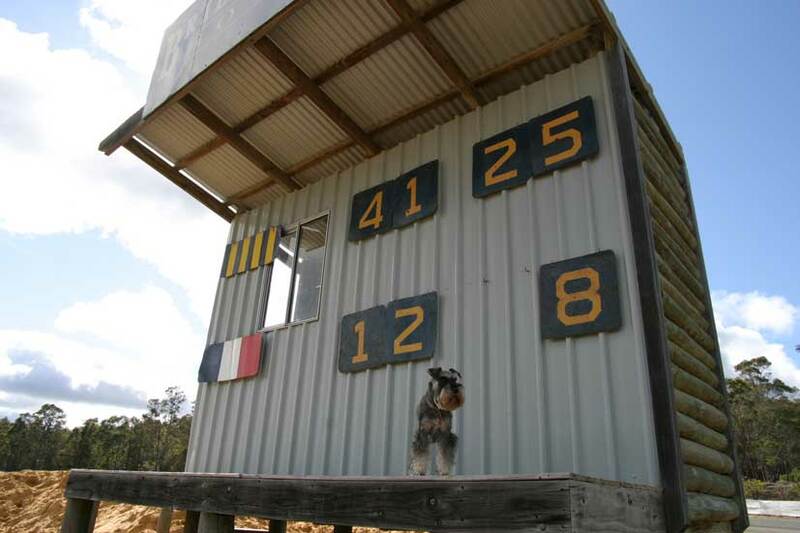 Not for the first time on our travels we found a footy. It belonged to the Bridgetown colts, We had a bit of a kick and after we’d done our work placed it next to a door at the pavilion. Our theory is that with most training sessions finishing in the dark balls often go astray. It must drive property blokes mad. 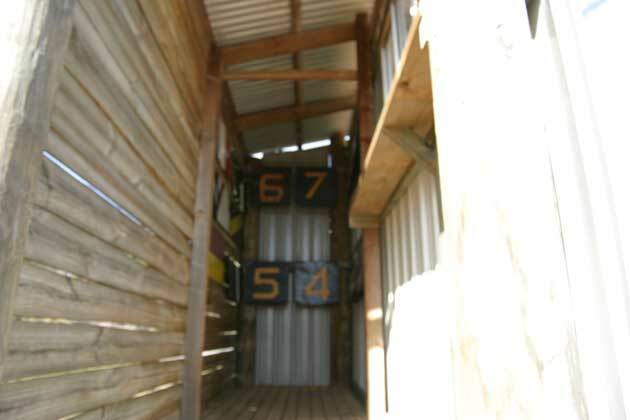 A fair bit of timber was been used in the construction of this scoreboard. 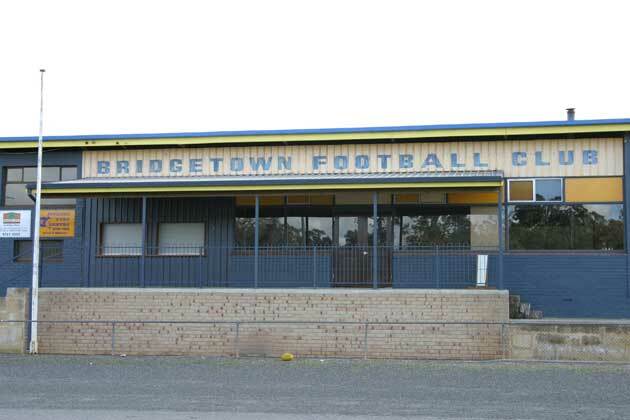 We made up the score and the Bridgetown Bulldogs would love the look at it… they currently sit on the bottom of the Lower South West Football League ladder. 1. The footy in front of the pavilion. 2. The score. Obviously this scoreboard only records goals and behinds but from my close-up position I didn’t quite realise it until I looked at the photo. I’m sure there’s some great East Perth player who came from Bridgetown but I can’t think of one…. it’s over to you dear scoreboard pressure reader. 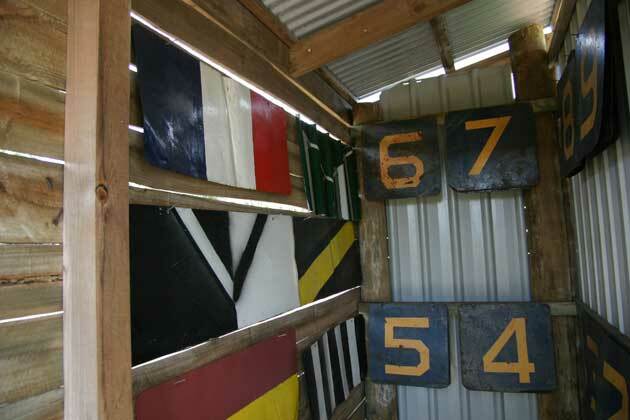 The photo inside the scoreboard, with the “guernseys” hanging on the wall, is one of my very favourite scoreboard photos. Well done. 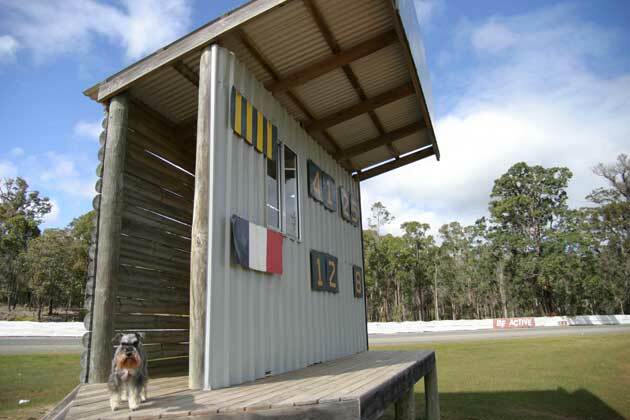 I was at a game at Lauderdale (Tas) on Saturday. The scoreboard is brand new and characterless (electric) but I wish I had taken the camera to get a shot for you anyway. Lauderdale belted Hobart, who are going out of existence at the end of this season.